Robert Pires, former Arsenal player, in a recent interview has suggested Arsenal should try to sign Real Madrid player Gareth Bale. Real Madrid president Florentino Perez has made clear they are planning on selling the Welshman this summer and it’s not unlikely Bale is returning to the Premier League. Though we agree with Pires this would be superb signing for The Gunners, we wanted to have a look at 3 lesser-known players who could help Arsenal win a new Premier League title in 2020. We suggest buying a defender, midfielder and striker, a new player for every area on the pitch. Though buying new players is not a guarantee for success, Arsenal could do with some younger players next season. 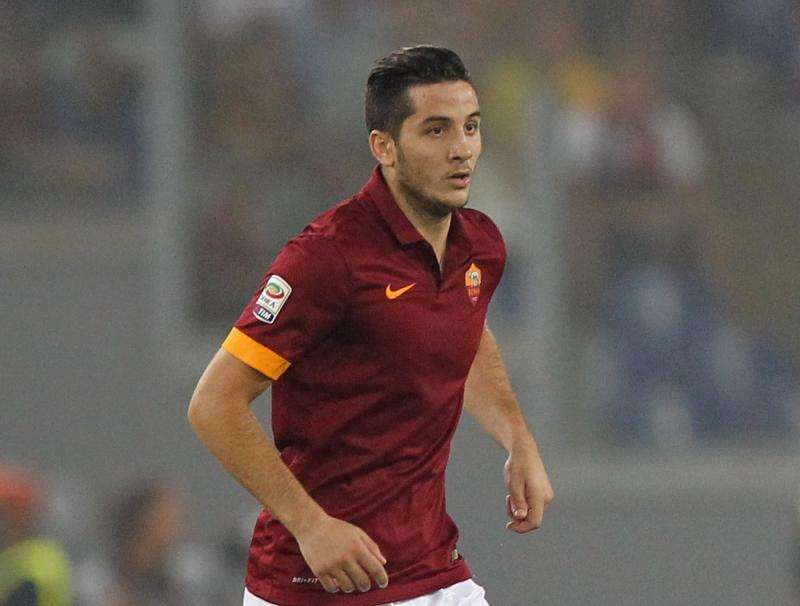 Manolas is considered to be one of Europe’s best defenders and would potentially be a rock in the Arsenal defense. The Greek central defender, 27 years old, joined AS Roma from Olympiakos in 2014 and has become a regular in no time. The player still has a contract until 2022, so Arsenal will have to pay a significant transfer fee to the Romans. The Greek international is a fast and robust defender who would certainly be an addition as a centre-back in the heart of the Arsenal defense. Arsenal should not hesitate and approach the player as soon as possible as there are other competitors on the horizon, Atletico Madrid being one of the clubs who want to sign the Greek defender as soon as possible. Pablo Fornals is a 23-year-old attacking midfielder who currently plays for Villarreal in Spain. He already played two times for the national team since he made his debut in May 2016. The right-footed midfielder has been a shining light for Villarreal in a disappointing season for the The Yellow Submarine, scoring four goals and providing five assists for his teammates in all competitions. Now that Aaron Ramsey has agreed to join Juventus after 10 years at Arsenal, the Spanish midfielder could be an affordable replacement for the 28-year old Welshman. According to the Sun, the ex-Malaga man is available for €20m due to a release clause in his contract. The Spanish midfielder has been linked with a move to the Gunners in the past, but no formal offer has been received yet by Villarreal. Nicolas Pepe has been a revelation in the French Ligue 1 since his breakthrough season at Lille, scoring 18 goals and providing 11 assists for Lille in 32 appearances across all competitions. The player was born in France to parents of Ivorian descent and holds both nationalities. In 2016, he has chosen to play for the national team of Ivory Coast making his first international goal in 2018. His consistency has seen several top clubs in Europe show interest for his signature and it’s likely Pépé is going to move to a bigger team this summer. Though, the Gunners would probably need to dig deep into their pockets as the market value of the 23-year old has skyrocketed since he was signed from Angers for about €10 million. The Lille president has revealed the club from the North of France is expecting a transfer fee between €50 and €80 million. Share the post "3 players Arsenal should try to sign this summer"